THURSDAY, June 29, 2017 (HealthDay News) -- Two new studies offer good news for any high school athlete who's suffered a concussion: For most athletes, mental or physical effects may resolve themselves over the long term. One study involving more than 260 high school athletes who'd suffered a concussion found they had no bigger risk for depression within about two years after the injury, compared to peers who hadn't had such an injury. And a second study, involving more than 1,200 high school athletes, found no differences in self-reported quality of life over two years of follow-up, regardless of whether or not they'd had a concussion. 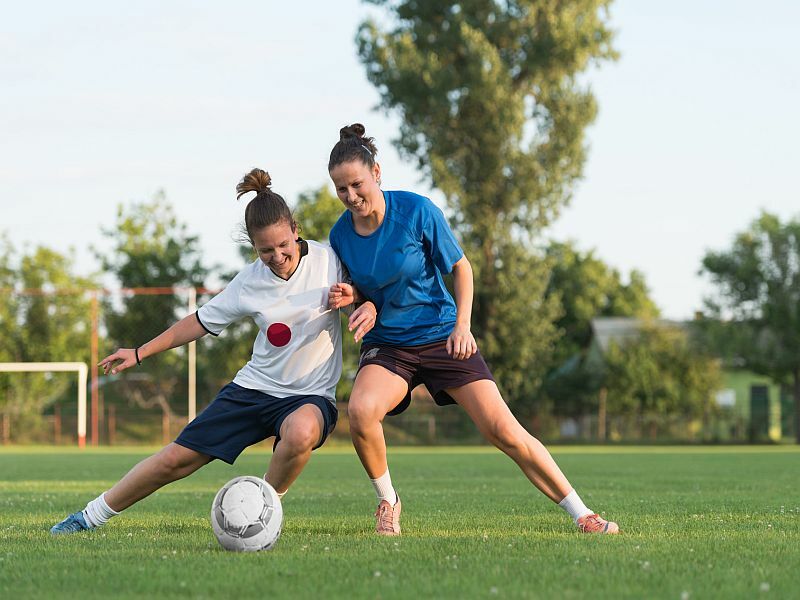 "It is interesting that high school athletes with previous concussion history do not report a decrease in quality of life," said study author Jerod Keene. "When you consider that, overall, high school athletes have been shown to score higher on quality of life than their non-athlete counterparts, the risk of not playing sports could lead to lower quality of life than playing sports and sustaining concussion," he theorized. Keene is an athletic trainer at the University of Wisconsin at Madison. However, an expert who reviewed the studies stressed that despite the seemingly good news, concussions can have devastating results for some athletes. "These two study results are consistent with what we've seen with some long-term concussion studies and while these findings are promising, it is also important to stay vigilant to prevent concussions in all athletes given the short and long-term health implications," said Steven Broglio. He chaired a statement on concussion for the National Athletic Trainers' Association (NATA) and directs the NeuroTrauma Research Laboratory at the University of Michigan. Both studies were to be presented on Thursday at NATA's annual meeting, in Houston. Findings presented at medical meetings should be considered preliminary until published in a peer-reviewed journal. There's been increasing focus over the past few years on the dangers to young athletes of head injury and concussions. Certainly, such injuries can have important medical implications in the short term. But what about the longer term? In most cases, should young players and their families worry about effects a concussion might have months or years later? To help find out, Keene's team had 448 female and 786 male high school athletes at 29 Wisconsin schools complete standard surveys designed to assess their health-related quality of life. The surveys assessed both the physical and "psycho-social" aspects of quality of life. Each student was also asked about his or her history of concussion. Overall, 79 of the girls and 182 of the boys had suffered at least one concussion in the years prior to taking the survey. But the researchers found "no significant difference" in either physical or psycho-social function in students who'd had a concussion, versus those who hadn't. They also saw no differences in overall quality-of-life scores. In the second study, Allison Schwarz, also an athletic trainer at the University of Wisconsin, sought to assess whether high school athletes who'd suffered a concussion were at any higher risk for depression over the longer term. Her team used data on the same group of students assessed in Keene's study. Again, "no difference was detected," the researchers reported. "High school athletes with a history of concussion report depression symptoms at the same rate as athletes who have never sustained a concussion," Schwarz said. None of this means that a concussion is harmless and that injuries aren't sometimes severe. But according to Keene and Schwarz, their findings may offer reassurance to young athletes and their families. "The conversation surrounding concussion in sport is constantly evolving," Schwarz said, "and health care providers are seeking current evidence-based information to better serve their patients."